Needless to say, coming up with a winner for our Editor’s Choice Award during this event was fairly daunting and (to be candid) fairly unfair. Even the entire staff of Coca-Cola would have their hands full (at least for an hour) with all the new offerings at this year’s conference. So we decided that the best way to ferret out the best of the best was to trust our ears and only opt for something that absolutely blew us away. We were looking for a sound that we could feel, that headrush and spine chill — that special high, the whole reason the term “audiophile” and the industry of high quality speakers even exist. After a few days of trials, we finally found it. Wave Electronics had a booth that featured, among other things, the S6.5 developed by Sonance and Elura. With immersive sound and unparalleled quality, this small, unassuming classic gave us exactly what we were looking for. 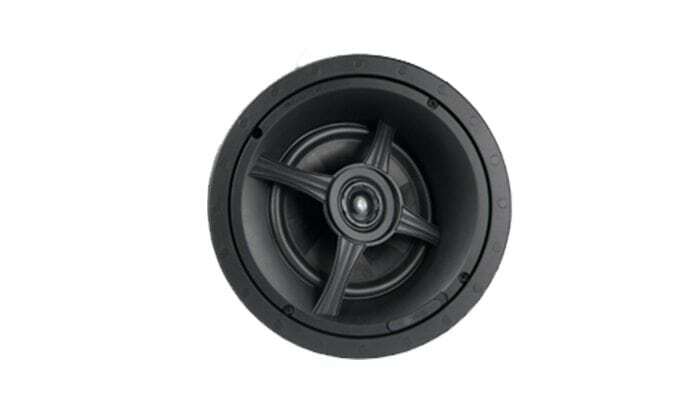 The S6.5 is an in-ceiling speaker, only 6.5″, but with a audio profile so deep and crisp that it made us think that The London Philharmonic had had a baby with the Pacific Ocean. The zero bezel grille, along with the silk dome, give it a clean look, but don’t expect to be awestruck by the S6.5’s appearance. Again, it’s simple, classic. But the sound was unlike anything we’d heard at the event, which is why we awarded it our Editor’s Choice Award for Best Overall Sound Quality this year. Till next year, or until we find something better, I would highly recommend picking one of these up. Absolutely amazing sound from an instant classic.